Bigger. Better. Smarter. That’s the short version of the pitch for Ultimate Ears new Blast and Megablast smart speakers. Much like rival JBL did with their recent Link 10, 20 and 300 speakers, the Logitech-owned audio brand isn’t just embracing the age of the smart speaker - they’re taking it portable. However, in contrast to the Link range, Ultimate Ears are throwing their lot in with Amazon’s Alexa smart assistant over its Google-powered alternative. If you were a fan of the previous UE Boom speakers, you’ll know what to expect. If you’re a newcomer to the brand, well, I hope you like it loud. In terms of design, the Megablast and its smaller cousin comes across as more of the same from Ultimate Ears. If you’re tangled with the brand before, you probably know what to expect. It’s a tall cylinder made of fabric mesh and brightly colored rubber. There’s an elegant physical power button on the top and a slick set of plus and minus buttons running along the side of the thing. Overall, the setup here is pretty synonymous with the usual for these kinds of speakers and more-or-less as simple as it look. You turn it on, open up the Bluetooth menu on your phone or other smart device, connect and you’re away. The biggest addition to the formula here comes in the form of added smarts via Amazon Alexa. This requires a little bit of extra setup via the Ultimate Ears companion app but isn’t a huge hassle. Still, once you’ve got everything connected, you can tell the Megablast to pause, play and request music using your streaming service of choice using your voice. Auspiciously, Spotify isn’t currently supported in Australia but UE say support for the service is due to come later via a software update. 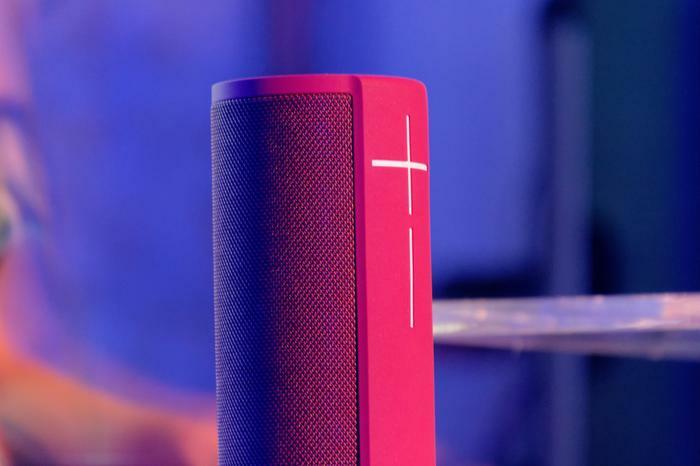 Nevertheless, at first blush, the product experience here is overwhelmingly similar to that the previous Ultimate Ears Megaboom (and Boom) speakers - though it does come with slightly-less battery life (18 vs 20 hours) and a bump up in terms of loudness of about 40% (according to Ultimate Ears). In terms of the possibilities the on-board Alexa opens up, the Ultimate Ears Megablast works much the regular Echo. You can use it to play music, get news and sports updates, check the weather and remotely control your smart home devices. Given that the natural rivals for this product, the JBL Link 10 and 20 come powered by the Google Assistant rather than Alexa. It makes sense to say that, if Alexa is your assistant of choice and you’re looking for a smart speaker that’s portable - this is going to prove a natural fit. Of course, like its JBL counterparts, this mobile smart speaker experience does come with a few caveats. The biggest one here is that there’s no low-power or active sleep mode. Since the Megablast automatically turns itself off after a short period of non-use, this means that you’ll be turning the Megablast on and off as and when you need it, which itself can be a bit tedious. Again, this is pretty similar to the JBL Link range, but this means that there’s that extra step between you and smart assistant experience that you don’t get with wired smart speakers like the regular Google Home and Amazon Echo - which hurts the level of utility on offer here. The other big limitation here is that the Megablast obviously needs to be constantly connected to the internet via an active Wi-Fi network in order for the Alexa smarts to actually kick in. Otherwise, it’s just another, louder portable Ultimate Ears Bluetooth speaker. This means that setting it up outside for a backyard barbeque isn’t going to present too many problems. However, taking it to the beach might. Again, this is just one of those larger issues currently attached to taking the smart speaker experience outdoors or on the go - and it is an issue you’ll find in the Megablast’s competition - but it remains an issue worth noting until such a time that it can be resolved by either vendors or Amazon. Still, in terms of the actual sound and listening experiences the Megablast offered, we came away more than happy. If you like your music loud, you’ll probably like what Ultimate Ears are offering here. The Megablast managing to deliver both crunchy basslines and crisply-detailed vocals without too much distortion. While the biggest things on offer here really is the prodigious volume and on-board Alexa smarts, but even putting those aside, the Megablast remains a tour de force for this kind of easy-to-use, outdoor-friendly portable speaker. That said, the listening experience is slightly let down by the lack of scalable synchronization offered by its predecessors. Unlike both rivals JBL and the Megablast’s own predecessors, you can’t really easily multiple Blast and Megablast speakers together en-mass, nor can you set a pair up in stereo, nor does it support a traditional 3.5mm wired audio input. These aren’t necessarily going to be deal-breakers but they do sting. Is the Megablast bigger than the Megaboom? Yep. Is it smarter than the Megaboom? Yep. Is it better than the Megaboom? Well, that’s a trickier question to answer. If you’re looking for an outdoors-friendly, IP67-rated portable speaker with built-in Alexa, this is probably the best one on offer right now. Of course, it’s also probably the only one on offer right now. 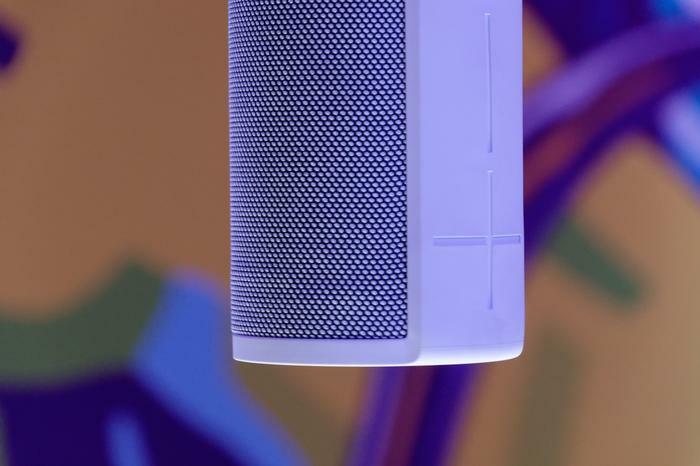 However, if you’re willing to detach yourself from Amazon’s smart assistant, then the previous Megaboom is probably going to be the better buy. Sure, it’s not quite as loud. But it’s definitely cheaper and offers a lot of extra options in terms of how it can be set up. Still, if you’re looking for that on-the-go Alexa speaker and like it loud, you’ll probably like the sound of this one.